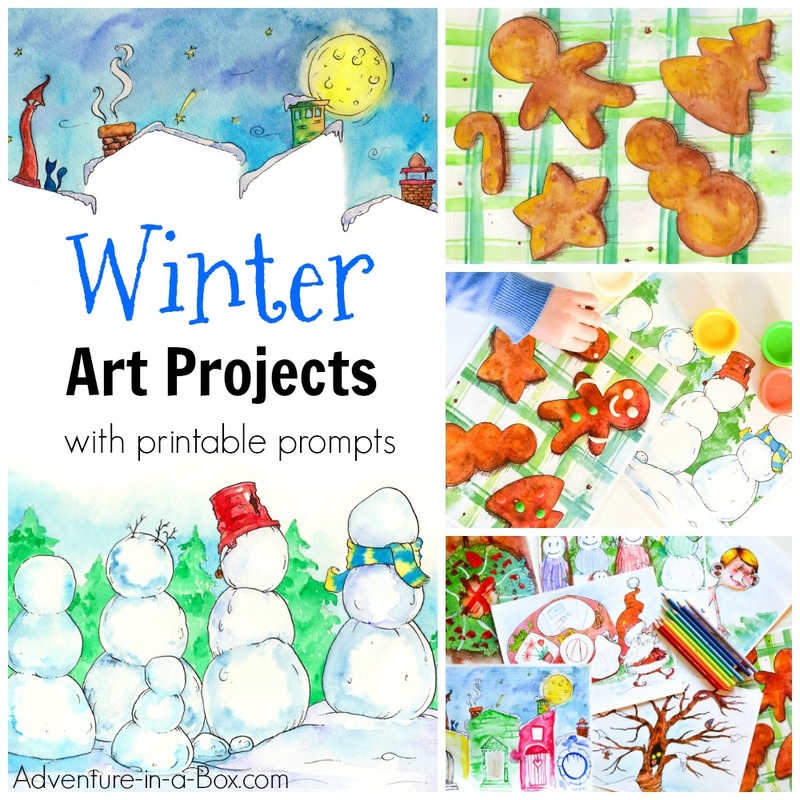 Need a winter boredom buster or a gift for kids who like making art? 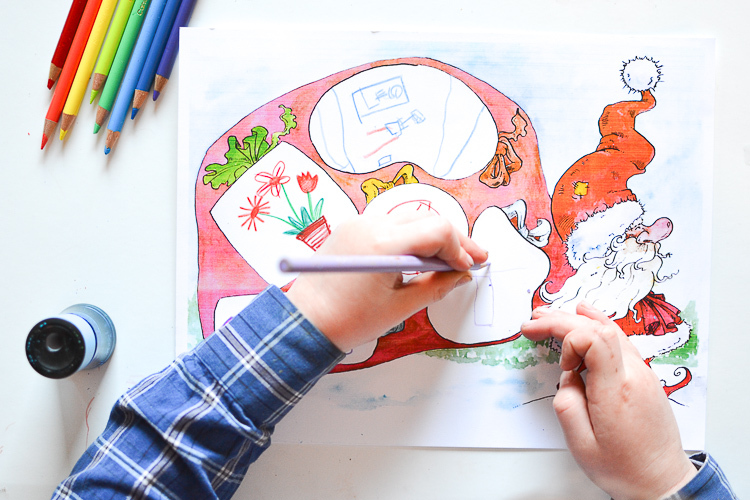 Try these printable art activities, which prompt kids to finish them with crayons, paints or play-dough! Making art is fun, and children like to draw and paint. 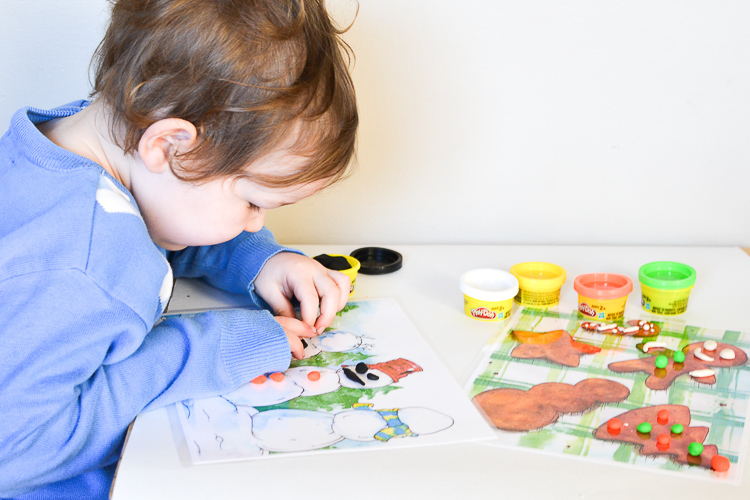 It is important for them, as making art helps develop a variety of skills including fine motor abilities, strategic and critical thinking, creativity and problem solving. It also has a calming influence, and is widely used as a relaxation technique. That being said, making art can sometimes be challenging. Especially starting a drawing or painting. My son loves to draw, but after a doodle of his regular car or robot, he often turns to me for advice, “Mommy, what can I draw next?” So I give him a suggestion or start a drawing for him to finish. He loves it! He may be hesitant to draw a ladybug from scratch but if I make a circle, he’ll be happy to turn it into a ladybug. 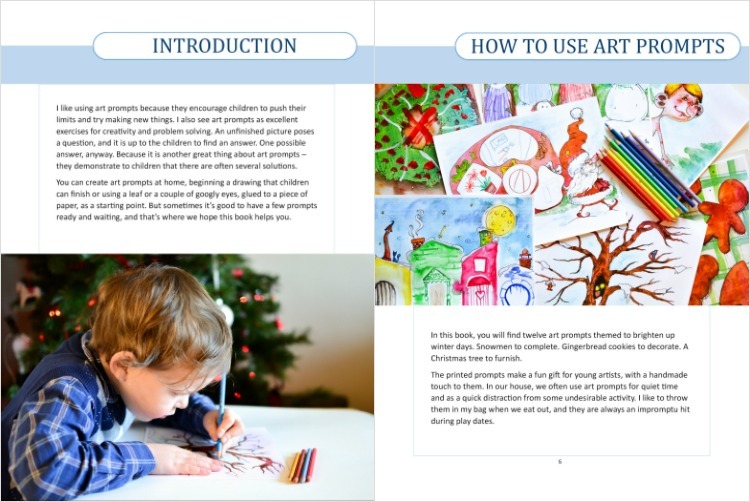 We often use art prompts – the simple homemade ones and the ones from art activity books. 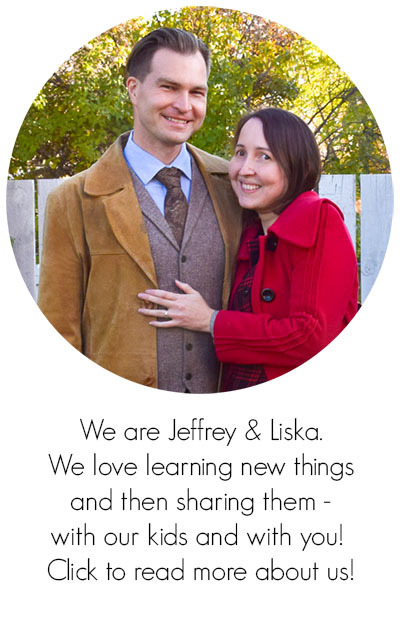 I see them as an encouragement to try something new that children wouldn’t ordinarily try. I quite enjoy sitting down next to my son and creating monsters around googly eyes! I think of art prompts as creativity exercises. They pose questions, and it’s up to children to provide answers. In the process they can discover that there are many variants possible. Art is great this way -there is never just one right solution. That leads me to the problem we have had with art activity books we buy. While we like them a lot, there is only one chance to fill the page. Or sometimes we have friends over, and after the children spend a couple of hours bouncing of the walls, they want to do something quiet for a while. When I bring out the activity books, there often comes a moment when they all feel inspired by the same page, and it just isn’t possible to accommodate three elbows around one little sheet. That’s why I thought that having multiple copies of the same art prompt would be great! So we worked together with my friend and artist Tetiana Kosovska and created a book of printable art prompts. 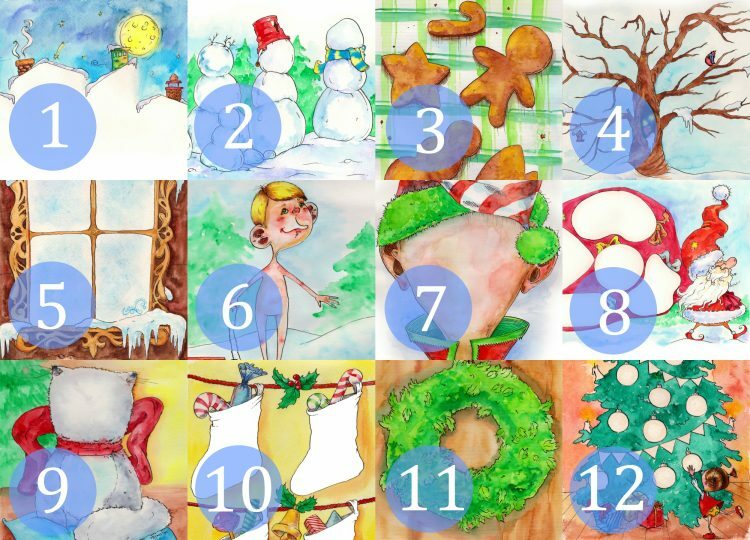 In the book, you will find twelve prompts themed to brighten up winter days. Snowmen to liven up, gingerbread cookies to decorate, a Christmas tree to furnish. All hand-painted in dreamy watercolours. We hope that you will enjoy them! There are many different ways to use them, and you will find more suggestions in the book. Here are just a few ideas! If you want to give your printed pages a particularly long life, try laminating them. It limits the choice of media, excluding paints and pencils, but it makes a very convenient surface for play-dough and washable or dry-erase markers and gives children a certain independence in working with prompts. Pencil crayons, markers, and play-dough are the most obvious first choices for finishing the pictures. 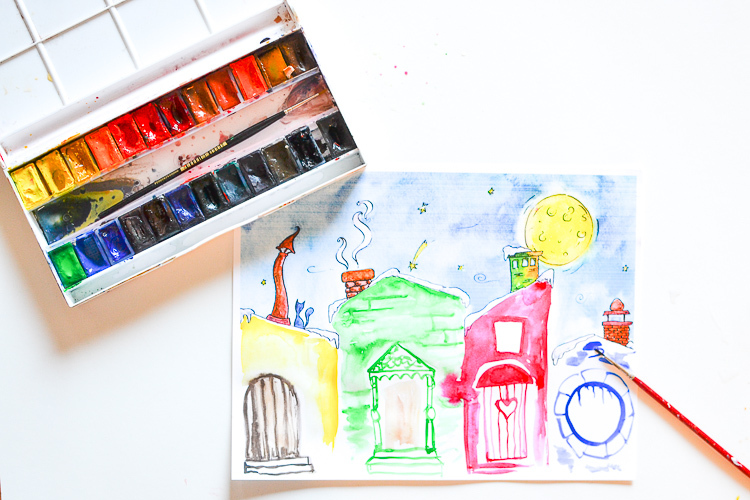 Afterwards, try using watercolour, tempera and acrylic paints. Add buttons and pompoms for mixed media collages! We offer the snowmen prompt for free. It’s one of our favourite prompts from the book. It works well with markers, crayons and play-dough. 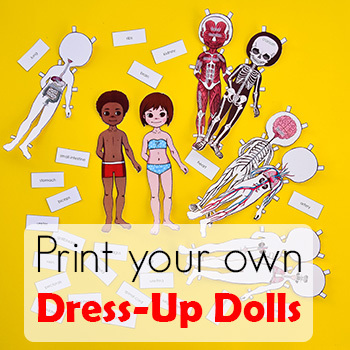 Colour the snowmen and draw the eyes, the mouths, and the arms. Think what kind of household and natural materials people usually use for building snowmen. Branches? Rocks? Scarves? Old pots? Finish the snowmen with those materials only! 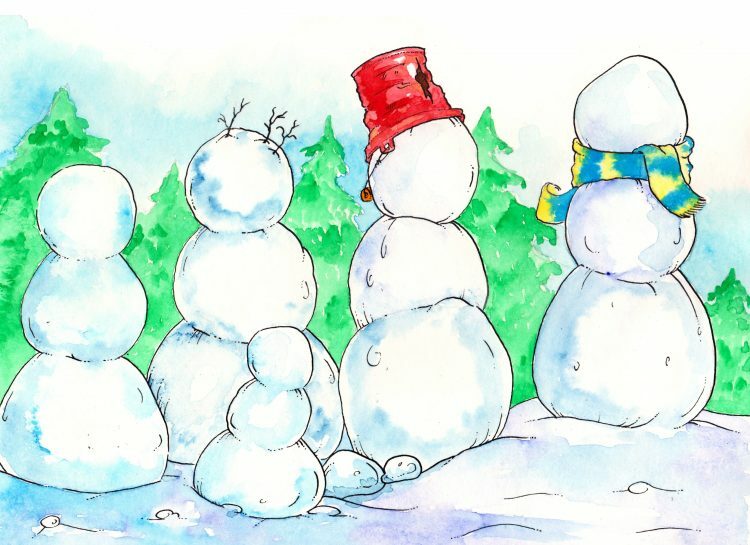 Imagine and draw what your family would look like as snowmen. Or what these snowmen would need if they went carolling. Or what would happen if they had a snowball fight. 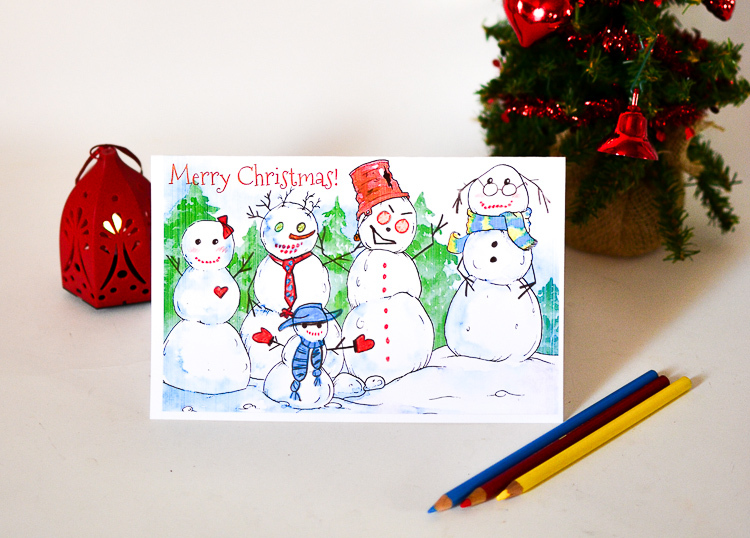 You can also use the snowmen card printable to decorate and give to people during winter holidays! 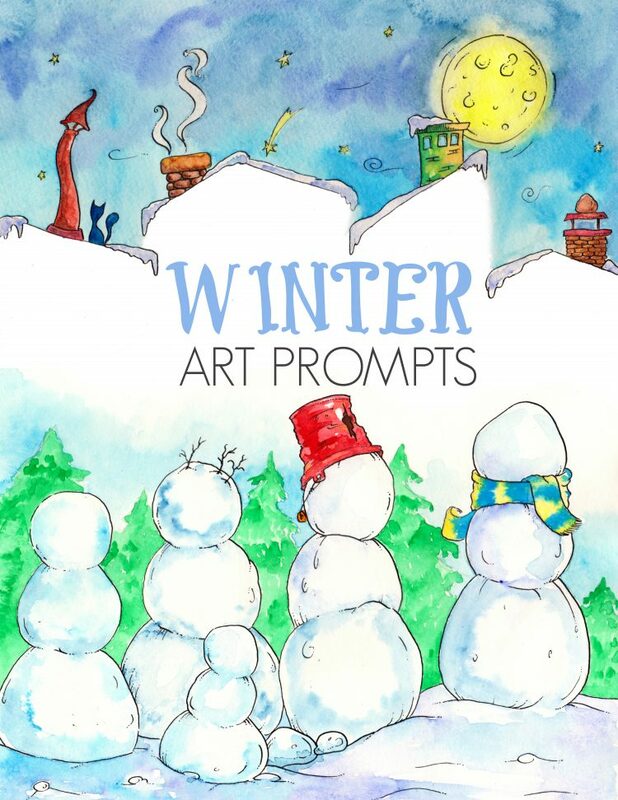 Buy the book of winter art prompts here! 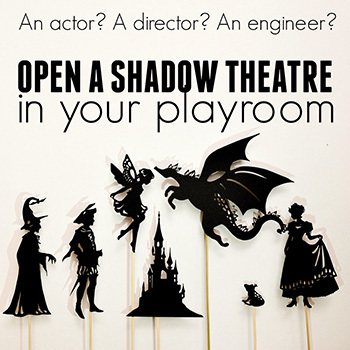 We’ll be very excited if you share your children’s creations with us! 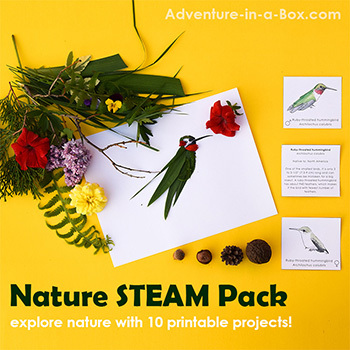 You can email the photos of their work to us, post on our Facebook page or tag us on Facebook or Instagram – @adventureinabox.